What is up Everyone? In this episode, Bryan and Chandler are joined by Andrew Gonyo of the Beast Coast and 40k Fame. Gonyo steps up to help Bryan talk about Gene Stealer Cults, he breaks down some of his initial thoughts on the units and cults that might be good or seeing more table time, and he talks about where he sees GSC in the immediate future, in the next 6 months, and what it might eventually look like. Gonyo also talks about his plans for Adepticon, his love for Beast Coast, and how horrible he is with fluff but how good he is with numbers and dice! Remember, Gonyo says "Breachers are AMAZING!" 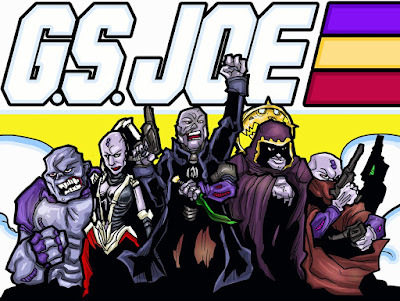 "I just thought it was a little Bro on Bro crime....." Andrew Gonyo explains the Horus Heresy. I just wanted to drop in and give a quick update on #thecultrises. What is up Everyone? In this episode, Bryan, Chandler, and Evan are joined by the one and only Skari. The guys talk about some of the projects they are working on, we get an update on the #CultRises progress, and we get to know Skari a little better. 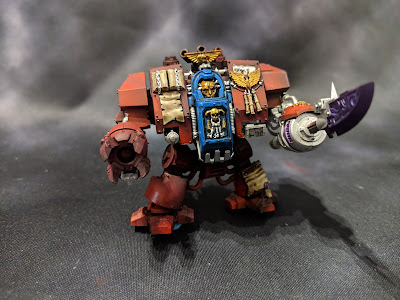 Skari gives us his best paint blend (you will understand, trust me), talks about his origins in the hobby as well as his first army, and we talk about his thoughts on everything from list building to painting and even get his experience at LVO. * Skari also explains how he would help someone getting into the hobby as well as someone looking to get better at the hobby. Overall it is a good look into someone that really understands the hobby at the tabletop, hobby station, and above the table, and we are glad he came on to help us get better. Skari brings the Maple Syrup, Tim Horton's, and a lot of good information. What is up Everyone? In this episode, Chandler sits down with Zach Bowles of ManBeardPainting fame and lore. We sit down to talk about his origin story into 40k (Dawn of War is a gateway drug people), his love of Orks, some of the craziest commission stories he has, and of course about shenanigans that happen both on and off the table. We talk about his painting on Twitch, for his hobby, and his commission work and get an insight if anyone is looking for a great painter to help get your army to the table. We also talk about our thoughts on 3 color armies, and really just sit down to tell stories. Don't fear the Beard; Embrace and love the Beard! Here we are, on the last day of February and #thecultrises has been going on for the better part of two months now. I haven't quite hit my total painted models goal but I have been extremely pleased at consistent progress on this army as well as a pretty good quality of painting for my current skill level. In my last #WIPWednesday post (two weeks ago...), I talked about my rough schedule that I want to stick to in the coming weeks. Specifically, I called out wanting to finish a unit of Intercessors and have my Librarian Dreadnought finished as well for this week. Man have I been waiting for this moment, The Gunslinger has arrived. I'm not sure there has been a model I was more excited to paint. The Kelermorph is an amazing model and it was a blast to paint him.